Coming Soon from Funko: More LOTR Pops! Rejoice, Middle-earth collectors! Funko announced on their blog today that this winter (January-February) they will be releasing another wave of Lord of the Rings Funko Pop! vinyl figures, including Mystery Mini blind bags. The mystery bags will feature several store exclusives, such as Lurtz, Eowyn, and the Witch-king of Angmar at Hot Topic and Galadriel (glowing), Frodo Baggins (clear), and Gimli (gold) at Barnes & Noble. 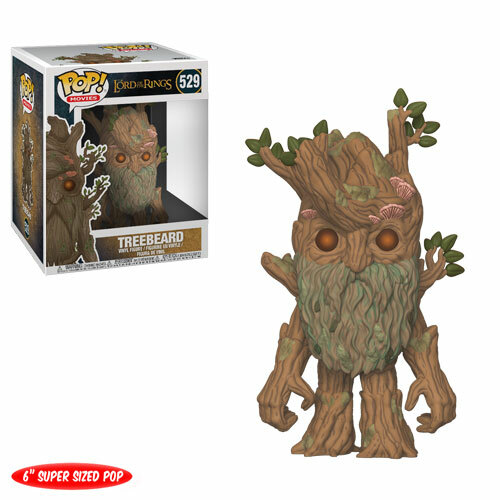 Additionally, new figures have been added to the existing line of Pop! 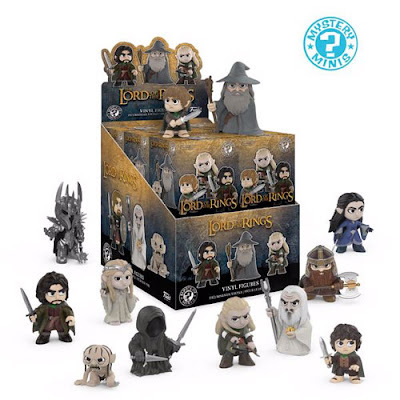 movie figures, including two variations of Gollum (with and without fish), Lurtz, Merry Brandybuck, Pippin Took, Aragorn, Treebeard, and two more exclusives - indivisible Gollum (Barnes & Noble) and King Elessar (Toys R Us). Which figures are you most excited to add to your collection? Personally, I am looking forward to getting Treebeard (he was on my Funko wishlist back in July) and the Mystery Minis! Those miniature villains are so adorable!